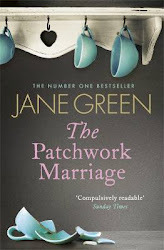 2015 Reading: #2 Jane Green’s A Patchwork Marriage – It's Time to Read! This is the first book I have completed in my Mount Blanc TBR Challenge. I didn’t know what to expect with this book. It has been on my shelf for ages, so I was nervous picking it up. However, I really enjoyed it. This is pure chick-lit. It has love, friendship and family. We see the challenges of family break-ups, the destruction and sadness addiction can bring and the pain not being able to have children can cause. This book was a page-turner. I am pleased I have finally read it – and if you like chick-lit, this book is for you!